How can any reasonable, thinking person be against globalization? After all, it promotes economic development, particularly in disadvantaged countries, lowers costs to consumers, and by connecting people around the world, helps to avert conflicts. How can any reasonable, thinking person be for globalization? After all, it exacerbates income disparities, particularly in developed countries, threatens communities with cultural assimilation, and weakens national sovereignties. It is remarkable how many people line up either for or against globalization and then dismiss the other side. Who’s right? Neither. Those who embrace globalization are no more thoughtful than those who dismiss it. We should all be lining up for and against globalization, to retain what is constructive about it while challenging what has become destructive. We need globalization in its place, namely the marketplace, and out of the public space. Unfortunately, the prevailing, cosmopolitan powers of the world— investors, executives, economists, and consultants — mostly line up for globalization, leaving those against it to protest locally, on their streets and in their ballot boxes.1 But their marches and occupations have hardly made a dent in the armor of globalization, while voting for the likes of Brexit and Trump—against what is wrong rather than for what could be right—has not solved anything. What we call globalization is really economic globalization, because it enables economic forces to prevail over social concerns and democratic precepts. Multinational companies play governments off against each other in their quest for reduced taxes and suspended regulations, while local communities have to compete for jobs that can be no more reliable than the next offer. Globalization may be connected everywhere, but it is rooted nowhere, while sustainable employment takes root in local soil, not on the “globe”. Hence this force for economic development is fast becoming one for abandoning decades of social and political development. Trade pacts now allow companies to sue sovereign governments over legislation that reduces their profits, while companies such as Uber ride roughshod over local regulations. How about this from an article in the New York Times (23 September 2017), about the city of London’s challenge to Uber: “There is a feeling in the air that regulators should stand up to businesses that simply ignore any rules they don’t like.” No kidding! John Kenneth Galbraith’s forgotten concept of “countervailing power” can help to understand what has been happening.2 Countervailing forces arise in democratic societies to offset concentrated centers of power, as did the unions in America with the rise of the large corporations. But where are the unions in today’s so-called global village, and what other force has arisen to offset that of the global corporations? The most obvious candidate is global government, but the United Nations is hardly up to that. The globe may be amalgamating economically, but it remains fragmented politically as well as socially. Indeed, the most powerful international agencies, all ardently economic—the WTO, IMF, World Bank, and OECD—have been the cheerleaders for globalization. How, then, to face this corporate hegemony? The challenge will have to begin from the ground up. Perhaps never before have so many people been prepared to vote with their feet, their ballots, and their pocketbooks. Thoughtful, concerned citizens, acting in local communities that are connected globally through the social media, can bring direct pressure to bear on objectionable behaviors, while prodding their governments to act more concertedly on their behalf. Communities, after all, have been the places where major social change has often begun—for example, with a tea party in the Boston harbor or a woman boarding a bus in Montgomery, Alabama. From such sparks have come significant groundswells that have transformed societies. Without restraining the power of economic globalization, we shall be facing greater social disruption, the election of more tyrants, and the further deterioration of our democratic institutions. We certainly need strong enterprises. But not free enterprises. Not if we are to be free people. © Henry Mintzberg 2018. A similar version of this bog appeared on September 18 in the Sloan Management Review blog, under the title “We must keep globalization in its place: The Marketplace.” For further discussion of balance across markets, governments, and communities, see my book Rebalancing Society. For management education that is worldly beyond global, see impm.org. 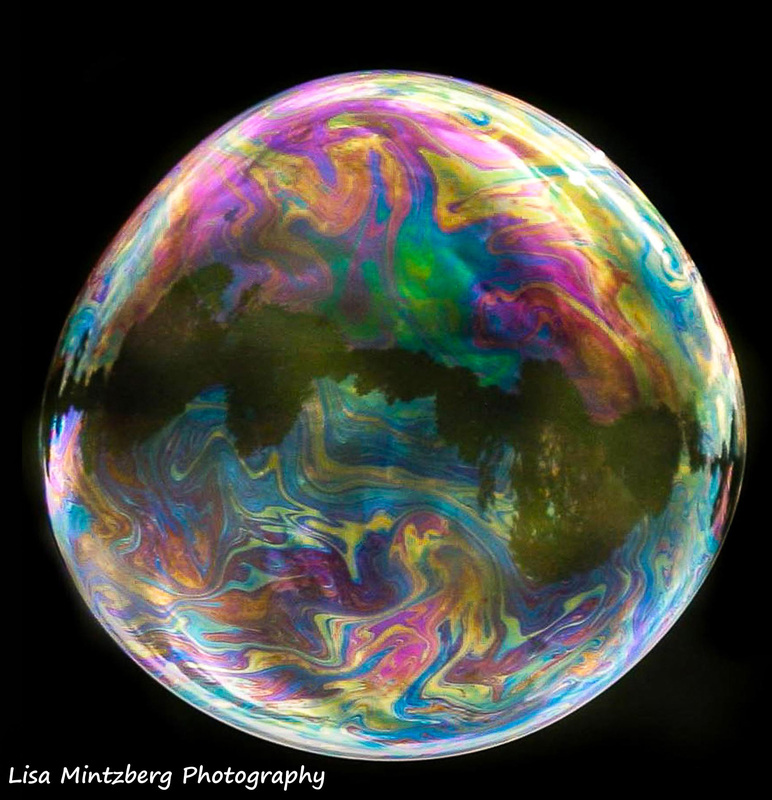 Photo by Lisa Mintzberg is of a soap bubble, about 10 centimeter in diameter. 2J.K. Galbraith, American Capitalism, The Concept of Countervailing Power (originally published 1952). Until 1945, the German people sang their national anthem beginning with the line “Deutschland Deutschland über alles” (“above all else”). Today many people sing “Uber Uber über alles”, whether for or against. One of us sings for, the other against. The two of us live in Montreal, work together, and leaving Uber aside, are good friends. Leslie lived her life in the United States, with a brief time in France, until she moved to Montreal in 2010. Henry is a born and bred Montrealer, with years spent in England and France as well as some in the U.S. This may help to explain our differences over Uber. I love technology, innovation, convenience and novelty, when it makes sense. Uber came on the scene with attractive pricing, but it was more about convenience and ease of use…no phone call, no confusion about where to pick up, and, best of all, no money exchange in the car. Upon arrival, a simple “thank you” and you’re on your way. 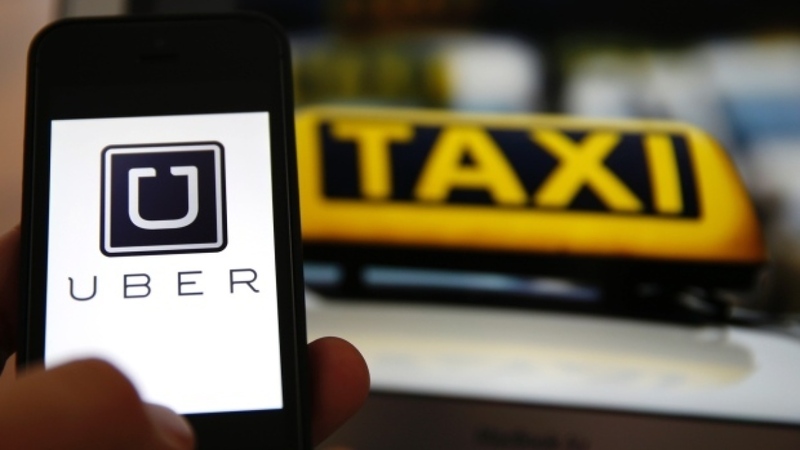 Is Uber a “disruptive innovation”? Does it matter? What matters is that Uber and other ride-sharing companies have been disrupting the taxi business for the sake of better service, around the world, for almost a decade. Surely by now the taxi companies have had time to get their apps together. I believe in a lawful society. I pay my taxes in two countries. But I also understand the time-honored tradition to avoid taxes by all legal means available. Beyond this, laws are regularly flouted when they are patently foolish, or exist to support monopolistic practices. This form of civil disobedience brings attention to the need for change. Along with Uber in transportation, Airbnb competes with traditional hotels, and Turo with traditional car rental companies. Hotels gouged people on personal phone calls, and then on Internet services, until mobile phones and Airbnb came along. Turo avoids excessive airport taxes by enabling people to rent cars just offsite or from private owners who pick you up at the airport. Governments must make laws that protect us, but that are also in our best interests. A level playing field and fair competition are important but, as we may be seeing now with Uber, an equilibrium can eventually be achieved through cooperation, negotiation and collaboration, allowing the type of choice one expects in a democracy. The dominating song today is really that of globalization: “Investors Investors über alles”—über the workers, über the rules and regulations, über national sovereignty. Make no mistake about it: Uber is just the latest version of the worker-busting practices that for some years have been driving middle class wages toward the minimum wage, to the delight of shareholders and customers alike. First the unions were busted, then job security was busted together with worker benefits, and with the resulting reduction of earnings has come busting of the social fabric of societies. No wonder so many people have had it with an economic globalization that is riding roughshod over decency and democracy. Uber claims it is not a taxi service. (Just as I claim that this is not a blog because I call it a TWOG.) Funny, because Uber picks up people and ferries them around the city for a fare. Sure sounds like a taxi service to me. No, they say, it’s a ride-sharing service. Maybe originally, but when was the last time you shared an Uber car with a stranger? OK then, Uber drivers are self-employed. Well, what are the taxi-drivers who own their permits and join a co-op? We live in a world of fake words too. Apple has succeeded by competing with better products. Uber succeeds by cheating with a better service. It is the ultimate pit bull in a globe of pit bull corporations—apparently in its management and corporate culture too. The following sentence appeared in a recent article in The New York Times, about London’s efforts to rid itself of Uber: “There is a feeling in the air that regulators should stand up to businesses that simply ignore any regulations they don’t like.” Really? Stand up to global corporations, holding them to the rule of law? What a novel idea! This is not a feeling in the air; there’s a sledgehammer striking the ground. Leslie and Henry: Synergy über alles? Maybe we are both right. Our differing perspectives might just be a matter of context. Leslie cites corruption in the taxi industry, which has been especially so in New York City with its medallions — there are now fewer than in 1937, when they were first introduced, at $10! Certain people made fortunes on these – the price went to well over a million dollars before Uber became prominent — while some of the drivers who rented their cars struggled. In other words, in New York at least, this decimation of earnings preceded Uber, although it has hardly abated. So why shouldn’t the overwhelming proportion of NY drivers who don’t own medallions switch to Uber? Henry points out that in Montreal, taxis are plentiful, many of them driven by polite owners who earned better incomes, at least before Uber came along. The city has tight restrictions on the number of permits that can be owned, tied to the individual ownership of the cars themselves. In other words, contexts do vary. Montreal may be closer than New York to what happens in cities elsewhere that have been challenging Uber. Is what we have here, therefore, a solution to a corruption problem in New York City being applied to cities where that problem doesn’t exist? Is this, in other words, a case of the American exceptionalism, forsaken by Donald Trump in foreign policy, only to be carried on by American corporations in the global marketplace? That’s at least how many Canadians see the world today, and many Europeans too. Americans love novelty, and the competition that brings it, while Canadians tend to be more suspicious of aggressive multinationals, and more concerned about the underdog and fair play. It seems to us that our positions can be reconciled—synergistically, if you like. Keep the benefits of the Ubers, but force them to play by the rules, at least sensible rules. This may be happening in Montreal right now. When the government of Quebec recently sought to impose restrictions on Uber, the company said it would leave by a certain date. The government didn’t cave, and Uber didn’t leave. Now on the table is a proposal to have Uber buy a certain number of permits, to collect and pay taxes as well as fees per ride, and to ensure that its drivers are properly licensed and insured while the cars are regularly inspected. In other words, act like the taxi company Uber is. The company is not exactly signaling its delight with this proposal, but it could be one way to maintain the innovations while ending the indecencies. Will this throw the Uber baby out with the taxi bathwater? Who knows? Established taxi businesses certainly need to wake up—more quickly. They can do a better job of replicating many of Uber’s innovations. (Prepaying by credit card, for example, is hardly under patent.) Meanwhile, other variations are popping up all over the place. In London, using Gett, some of the legendary black cabs provide service via a mobile phone app. The rider can choose to pay a fixed fee up front or go by the meter. In the U.S., governments are now scrambling to strike a balance between the growing need for flexible urban transportation and protecting the interests of the taxi drivers. Even Leslie has her own hybrid service: she met a licenced driver who prefers to drive his own customers. So, for certain needs, she arranges directly with him, at taxi rates. Yes, she actually pays more than for Uber. But in the bargain, she is assured that his car will always be clean and well-maintained, and most important, that she has a safe driver she can trust—indeed, someone who has become almost a friend. Leslie has struck her own blow for decency. © Henry Mintzberg and Leslie Breitner, 2017. ¹Apparently, this line originally referred to a unified Germany over its parts, but the Nazis presumably had something else in mind. This line is no longer officially sung. Canada’s Minister of International Trade, Chrystia Freeland, shed a few tears of frustration in October when the little region of Wallonia blocked the Canada-EU trade pact that she worked so hard to negotiate. 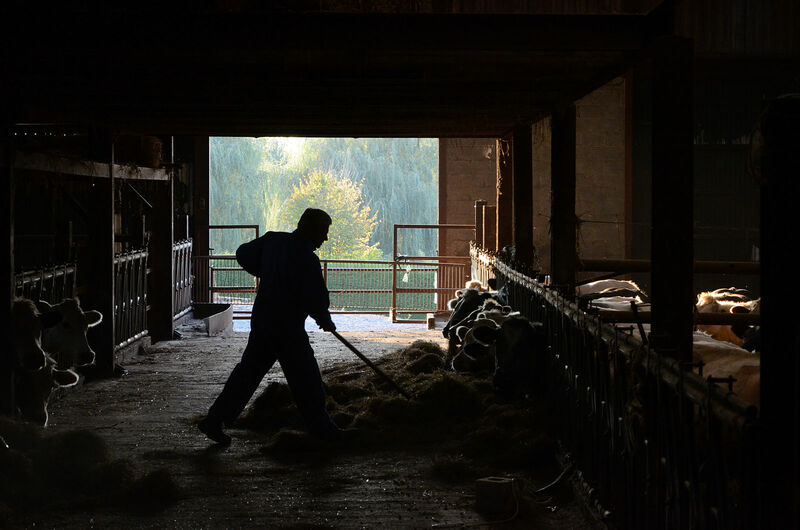 Imagine that: a bunch of Belgian farmers standing up to the mighty forces of globalization. Next thing you know, Britain will be brexiting the EU and Trump will be trexiting the TPP (Trans-Pacific Partnership). What is this world coming to? Its senses? At the very least, the genie is out of the globalization bottle. Many people now realize the opaque consequences of globalization. Unfortunately, no small proportion of them have been convinced by demagogues to accept solutions that could be worse. The Loaded Global Game Economists have been telling us for decades that globalization is motherhood, as is free trade and free enterprise. After all, they insist, greed is good and markets are sacred while governments are suspect. Well, I am one of those who believe that governments are suspect when they buy into this nonsense. You don’t have to be bribed to be corrupted; you just have to be conned by dogma. Nowhere is this more evident than in the sham tribunals that have been written into the trade pacts of recent years. These enable those free enterprises to sue sovereign nations whose laws or regulations—even in matters pertaining to health, culture, and environment—they deem to have affected their profits. So much for free people. To understand why Trump and Farage as well as Sanders have been getting so much support, please notice two disconnected dots: the multinational enterprises that barrel ahead in the back rooms and the people in local communities who feel shut out. Something is rotten in the state of democracy. This global game is loaded. The international trade pacts privilege large corporations that can move freely around the globe. They face no countervailing power, to use John Kenneth Galbraith’s forgotten phrase1—no global taxes, no global regulations to speak of (except for the ones they develop for themselves), no global government with teeth, just a set of international agencies, all of them economic—the IMF, The WTO, the World bank, the OECD—that act mostly as their cheerleaders. All of this has enabled these corporations to ride roughshod over governments, for example by playing them off against each other for tax breaks and by being allowed to enter the back rooms of the trade negotiations for their own benefit. Local businesses, in contrast, are subject to the countervailing power of their own governments, comprising regulations and national taxes. They have no foreign tax haven where they can plant some phony headquarters. Instead, these businesses are rooted in local communities, which, in fact, they serve socially as well as economically. And make no mistake about their importance to us all: count the number of local businesses with which you regularly interact. I’ll bet they far outnumber the global ones. Yet the concept of community does not figure in mainstream economics, nor therefore in the trade pacts. It took the peculiar veto power of Wallonia to open the closed doors of this pact, thereby providing three million people with an 11th-hour deal for themselves. Is this any way to make some of our most momentous policy decisions? As for our rich country, Canada, with regard to NAFTA (the North American Free Trade Agreement), one Canadian official reported seeing “the letters from the New York and DC law firms coming up to the Canadian government on virtually every new environmental regulation and proposition in the last five years” (in the Guardian article). Before the trade negotiations for the EU-US pact had even begun, according to another New York Times article, European officials were “consulting with business leaders on both sides of the Atlantic on how to structure a free-trade pact…. Among other things, the business community was seeking an active role in writing new regulations.”4 Cry for democracy Minister Freeland. The recent Canada-EU agreement has removed the most abusive aspects of these tribunals. But not the tribunals themselves, whose very existence is abusive, as are some other aspects of the agreement. Here is what a prominent group of Canadians with extensive experience on this issue wrote in a open letter to the people and parliamentarians of Wallonia. This “agreement will impose new constraints in many...areas of public policy”, including “pharmaceutical regulations, public health, agriculture… [and] labor rights.”5 This undermining of democracy by democratically elected government is happening in Trudeau’s Canada, not Erdogan’s Turkey. Globalization needs to be constrained, not further entitled. Continue to allow it to trump democracy and watch the rise of more Donald Trumps. © Henry Mintzberg 2016. For more on global, local, and community, see my book Rebalancing Society...radical renewal beyond left, right, and center. 3 Tavernise, S. 2013, December 13. Big Tobacco steps up its barrage of litigation. International New York Times. 6 As part of their deal, the people of Wallonia have set off a process that may accomplish just that, while judges in Germany are already questioning the constitutionality of the tribunals in the EU pacts.